Small, widely spreading deciduous shrub (H 0,5-1 m, W 1-1,5 m). Crown broad, flattened spherical, dense. Branches upright to widely spreading. Bark on young shoots brown. 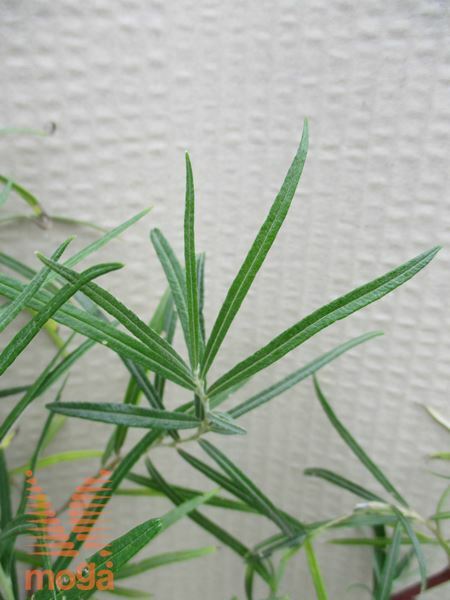 Leaves narrow, linear to lanceolate (2-5 cm), grey-green to green, underneath dense grey-white hairy. Flowers in clusters, catkins (1-1,5 cm), silver-grey to yellow. Flowering period: April. Seeds numerous, very tiny, with grey-white hairs. Ripening time: May. A tough species, normally withstands urban conditions, cold and drought; it prefers sufficiently drained, light, partly sandy, always moderately moist soils.